There are so many advertisement records that I have heard or seen only once in my life. Lucky for me and you I most often bought them right away, but I regret all the records that I did not buy. Especially because I wasted my money on other records, that are now available on CD, while all these advertisement records are still collector’s items. Well, sort of. I don’t have the impression that there is a large group of people interested in this material, because in that case there would have been compilation CD’s. Or is this too much logic for this mystery? 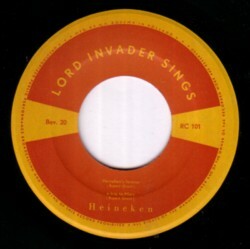 It looks like an ordinary calypso EP, but it is an advertisement record for Heineken’s beer. 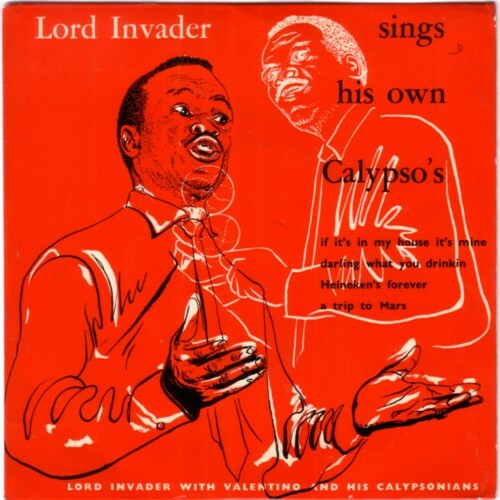 There are four songs on the record, all specially written for this occasion by Rupert Grant, better known as Lord Invader.